She often reminds me of Madonna, but more extreme. Sometimes she strikes me as a fakey version of Amanda Palmer. Gaga’s a good musician, but she never really does much music; a lot of her songs are very, very easy to sing. Last year one of my lecturers said that he thought she was popular because of the thumpy, tribal nature of her beats, and I tend to agree. This said, I like Judas and Bad Romance. I frequently get her other songs stuck in my head, and I love how she looks in the red bikini in the Judas video, but hate how she looks at the end of that same video. This makes me feel bad, because I want her to look attractive, which is really rather sexist and shallow. Facebook creeps me out, with the way it keeps stealing my information, but I had my whole life all out on the internets to see beforehand anyway. My main objection to Facebook now is that I can’t choose my contacts. On twitter, the only people who read my tweets (with one exception) are KoLers. (I also stalk celebrities on there, but I don’t imagine they’d read my tweets). With KoLers I can be almost completely open. On Facebook, I’m broadcasting things I say to family, friends, KoLers, school people, college people, uni people, and industry contacts. That said, I love it when people from the different groups all comment on the same status and interact. Yes, I know I can create lists and share things with specific crowds, but it’s more energy than I’m willing to put in to it. The main thing I like about facebook is that I can stay in loose contact with people I like but never speak to. Yes, I should just contact them from time to time, but we just don’t; that doesn’t mean that I don’t like knowing that my childhood neighbour has got a degree and is working in Canada, or that the girl I was passing-acquaintances with in high school went on to do what she said she wanted to do. Sure, go right ahead; take the word “Christmas” out of the winter holiday. I’ll follow suit happily. Just make sure everyone does it and is on the same page. And make sure that people who celebrate Hanukkah and Kwanzaa are cool with being lumped in with the people who celebrate Christmas. But look, as for me, I like the tree because it reminds me of my childhood; I like getting gifts, I like giving gifts. I like how nice everyone seems to be. Yes, it would be good if everyone could be nice to everyone else all year round, but they’re not and won’t ever be, so having it distilled into a month is cool by me. I started singing Christmas songs in July. I don’t really care when the merch hits the shops, I won’t buy it until December, unless it’s on sale and it would make a good present for someone. Christmas songs will be played before the start of December, but they won’t be overplayed until December, and I relish the logical conclusion wherein shops stock everything for all holidays all year round. Happy Merry Hogmanay-newyear-Burnsnight-valentine-Easter-mayday-queen’sbirthday-summer-Independence-backtoschool-haloween-bonfirenight-eid-thanksgiving-Hanukkah-kwanzaa-christmas-birthday to you all. Well, no, okay, he’s funny, just don’t let him near blockbusters. Choosing products with less packaging while shopping. The EC (or something) were running cute ads about being aware of how much packaging there is on your shopping. To them I say: It breaks my heart how much packaging there is on things, but it’s my third priority after healthiness and cheapness. Good until a few years ago. Then not good, but earwormy. L’chaim. Mazeltov. Eejits. If someone says they have it, I believe them. I have clinically diagnosed dyspraxia. If you’ve ever said that any of these conditions don’t exist, I respect you less for it. That said, if you say you’ve got OCD because you enjoy arranging your pencils by order of size, or you’re compelled to keep a diary, you’re wrong. I’m guilty of this a bit, only I say “Obsessive-compulsive tendencies” or just say “obsessive”. No, this probably doesn’t make a difference, but I think it makes enough of a difference to make it okay. If you’ve ever used the word “spastic” or “mongol” as an insult or to describe a type or attitude or person, I don’t respect you at all. Being old does not excuse you. You live in the now, you learn to fit in in society. If you can make watch a TV in your house, but you were raised in the twenties, you can refrain from being a racist. So yes, I hold opinions, but they’re not black and white, and I’ll hold different opinions in a few months or years. Also, there are OPINIONS, and anything that could be potentially defamatory is NOT FACT IT IS OPINION. 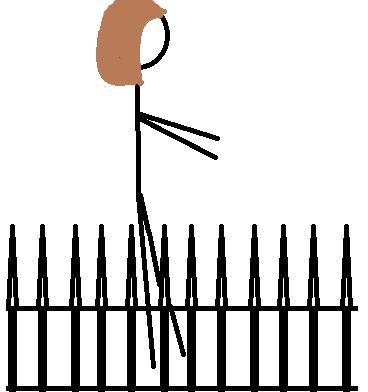 It's not easy, sitting on this fence, but I'll do it for YOU.